Wisdom teeth are third molars that grow at the very back of the gums and are the last teeth to come in. Majority will have four wisdom teeth, one in each corner on the top and the bottom. It’s common for wisdom teeth to grow through the gums in the late teens or early twenties, but they may also emerge much later as well. When wisdom teeth erupt and align properly within the arch, removal of these teeth are unnecessary. Unfortunately, this does not generally happen. 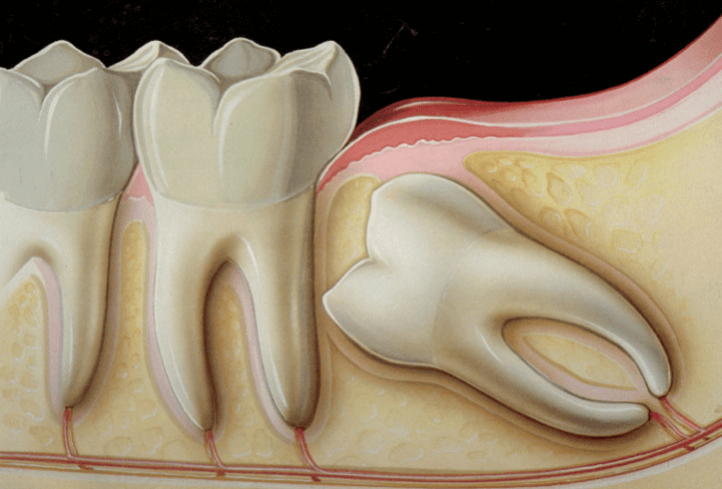 The extraction of wisdom teeth is necessary when they do not properly emerge within the mouth. They can grow in various orientations, may partially emerge from the gum, or remain trapped beneath the gum and bone. When this occurs, they are referred to as impacted. Cysts or tumors may also form around the impacted wisdom tooth causing destruction of the adjacent jaw bone and teeth. Removal of the offending impacted wisdom tooth or teeth usually remedy these problems. Early removal is recommended to avoid future problems and to decrease the surgical risk. Wisdom teeth removal is a very common procedure, but how it is performed does vary. During a typical session, the patient is given local anesthesia around the teeth that are being removed. Some patients may be sedated consciously so they’re more comfortable and relaxed yet still awake, while others may be sedated into unconsciousness and not remember anything about the procedure. The time it takes to perform a wisdom tooth extraction depends on where and how the teeth are growing in. Teeth that have partially erupted through the gum tend to be easier to remove, while teeth that are growing sideways and under the gum require a more invasive surgery. The cost to have wisdom teeth removed can range greatly from state to state. Additionally, there are numerous dental and medical insurances that have different types of coverage. The cost will also depend on how deep, or impacted, the wisdom teeth are in the jawbone. An Xray and an evaluation by Dr. Del Toro will be required to determine the degree of impaction of the wisdom teeth. 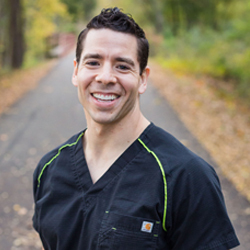 For more information regarding wisdom teeth and wisdom teeth extraction and removal, please contact our Paris TX office and schedule a free consultation with Dr. Del Toro.